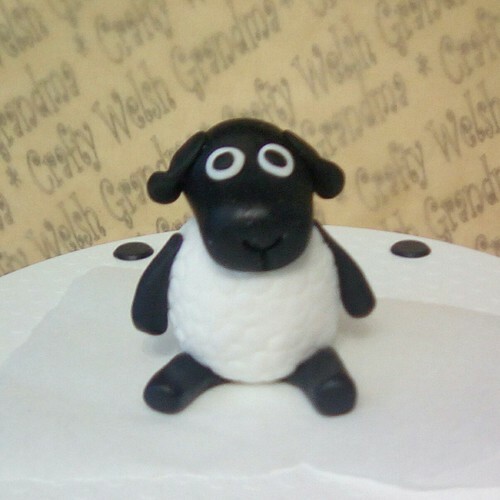 With St David's Day due in March, I'm trying to create as many Welsh cupcake / cake toppers as possible. 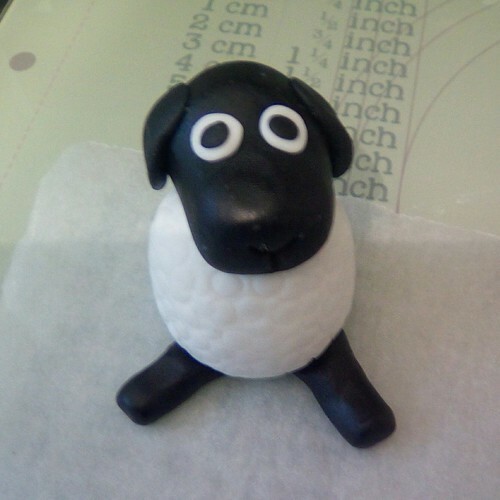 Today, it's a fondant Welsh sheep - and nope, this one has not made an appearance in Shaun the Sheep lol. 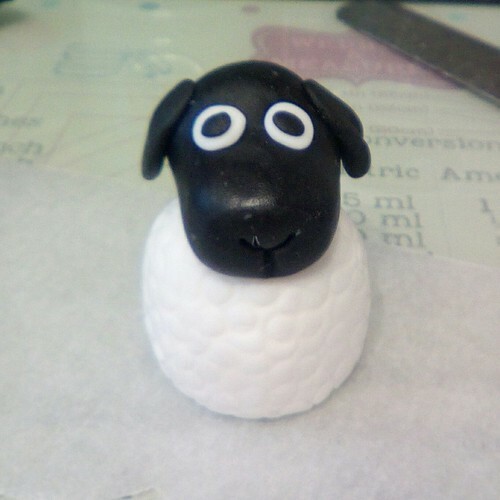 All you need for this creation is white and black fondant and something to make circular imprints with. 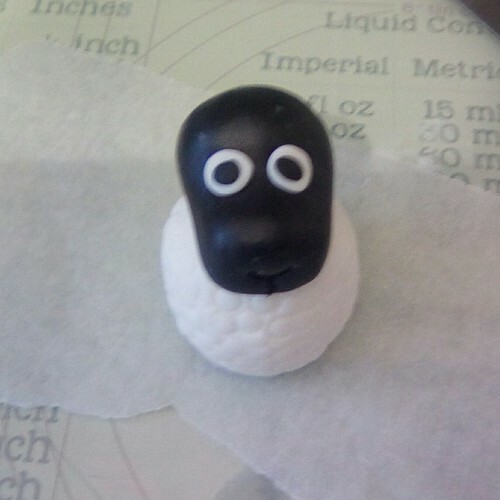 This will simulate the woolly fleece. 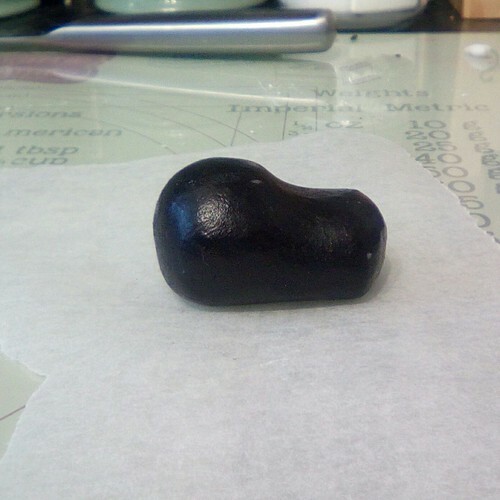 Roll a ball of black fondant, then flatten it a little to a short, fat sausage shape. 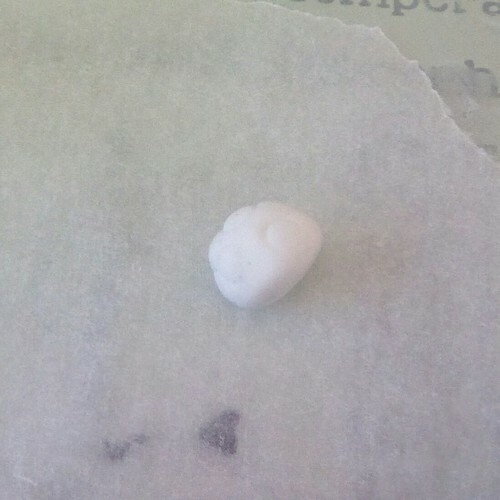 Press the one side and roll it a little so you end up with this shape (above) profile. 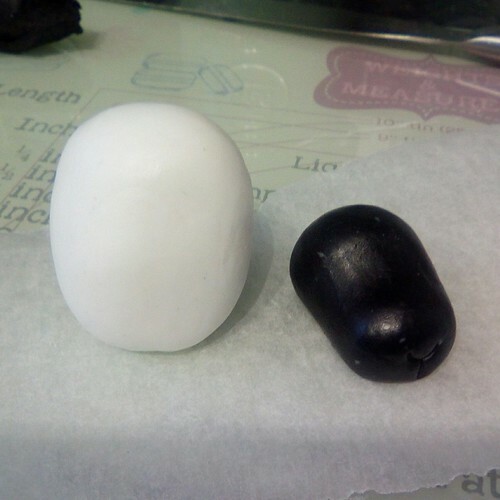 Roll a ball of white fondant in proportion to the black. 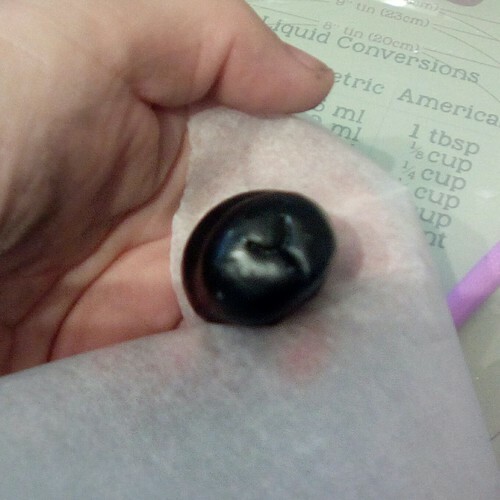 Once rolled into a ball, flatten the sides so it becomes an almost egg shape. 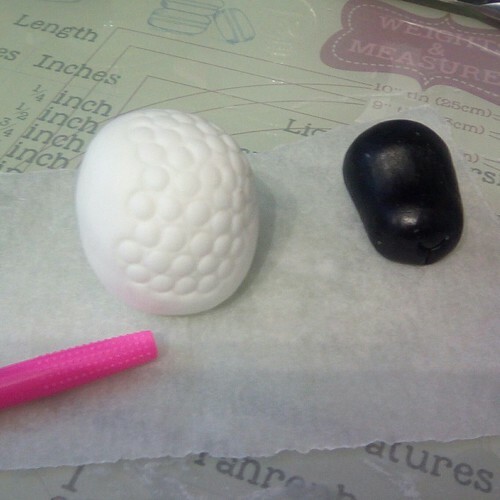 I couldn't find anything in my tool collection to make a circle shape imprint all over the body, so I tool the head off one of my tools, which left me with a tube and a perfect circular shape to make imprints. 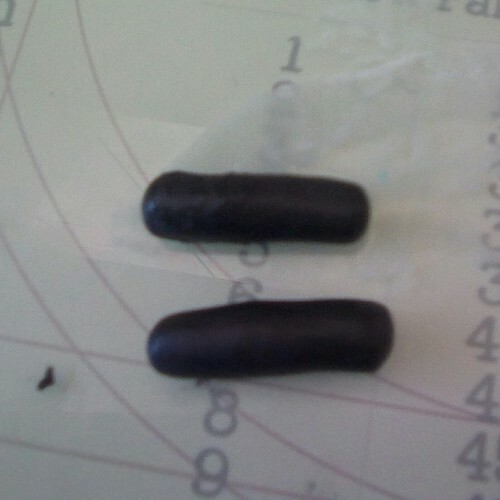 Do this all over the body. 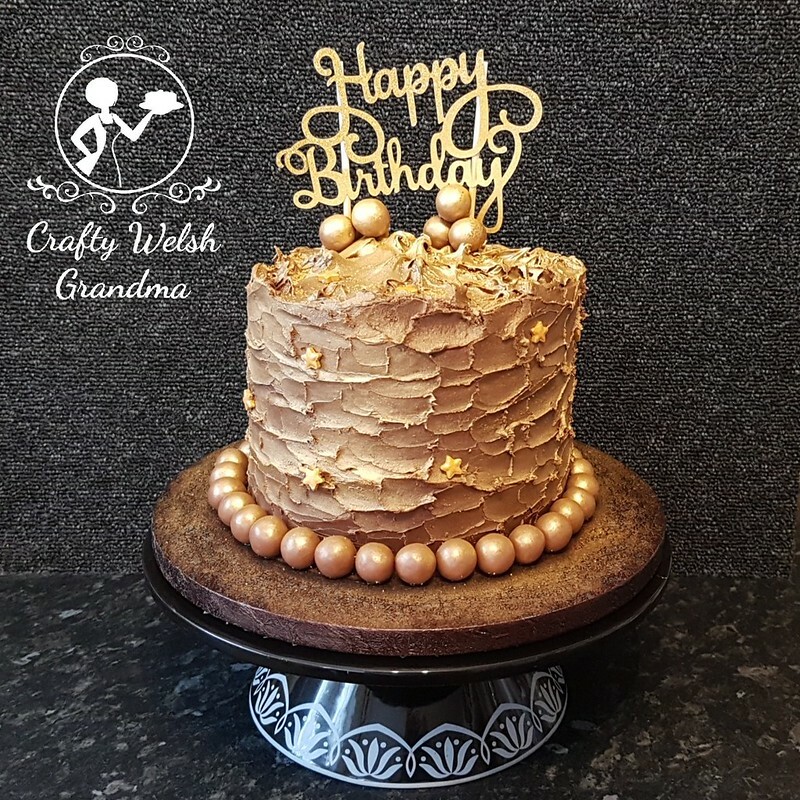 Insert a cocktail stick down into the body and trim excess. 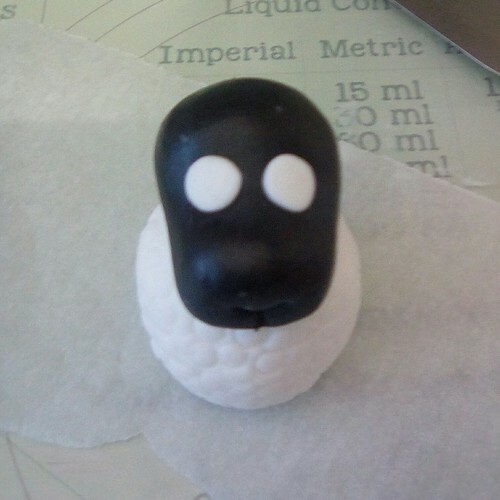 Use a little water or edible glue, stick the head to the body. 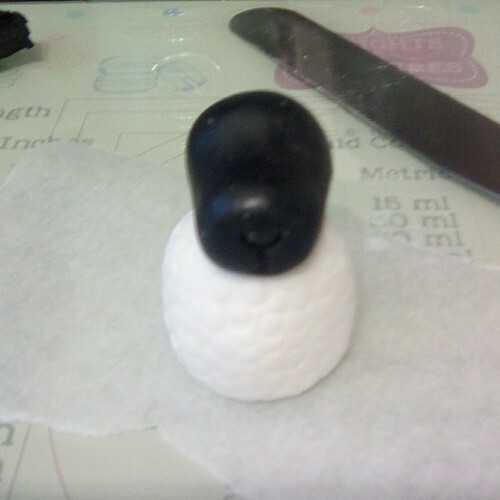 Roll two smaller balls of black, fix to the centre of the whites to finish off the eyes. 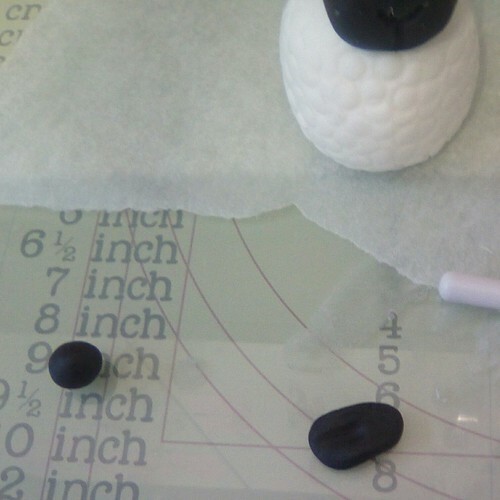 Whilst maintaining the proportions, roll two balls of black fondant, squash or roll flat then shape into long, rounded pieces. 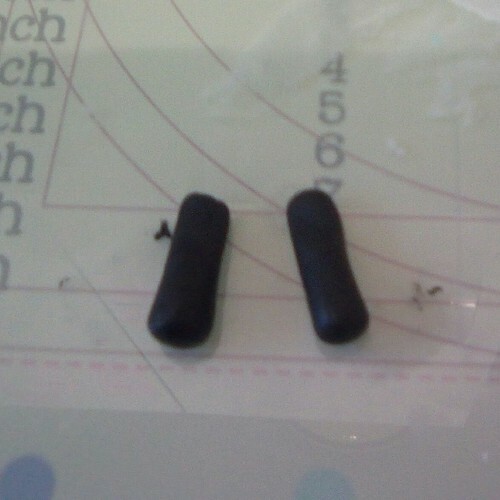 These will be the ears. 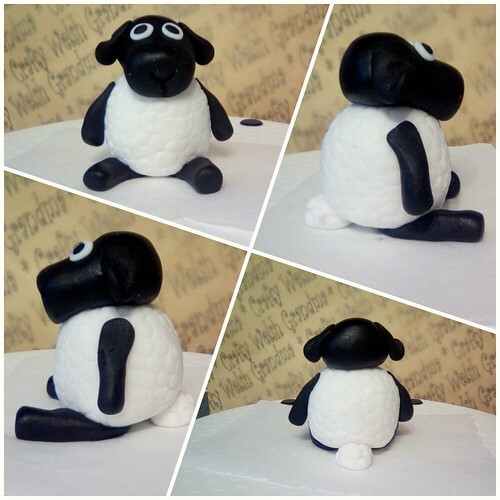 Using your edible glue / water, fix the 'arms' by the flattened portion to your sheep. 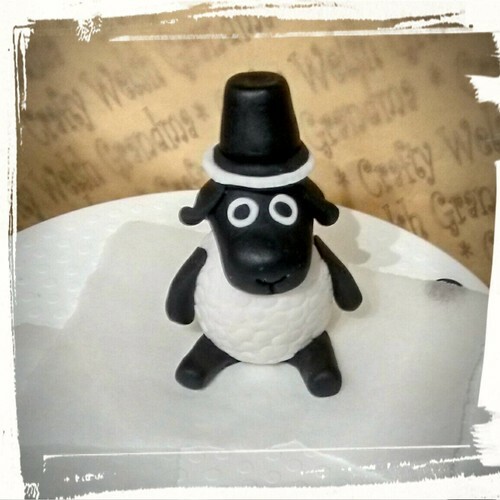 Now, if like me you like a bit of a laugh, and because these sheep are for St David's Day cake topper, I've added a Welsh hat.